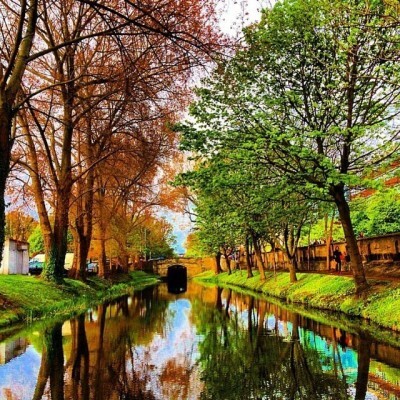 In terms of orientating yourself with the city it’s quite easy, and while traversing her characteristic streets you’ll often be surprised at the relatively small scale of the centre of Dublin. But there’s plenty of places & spots to check out on the fringes of the city’s epi-centre. Here’s our pick of the best, starting with areas which are literally a stone’s throw from the more well-trodden paths and heading a little further afield to amazing places within an hour of the concrete jungle. 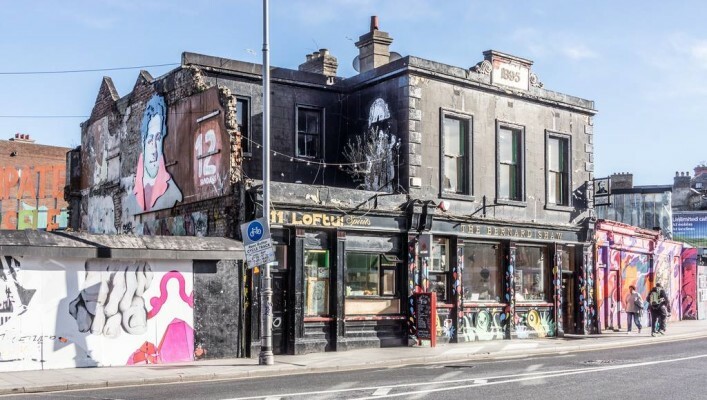 Known as the district where old Dublin meets new Dublin, the Liberties is an intriguing & colourful part of the capital to the southwest of the inner city, mere minutes walking from City hall. Full of buzz, banter and that special salty Dublin character, the Liberties is also home to the iconic Guinness Storehouse & factory as well as Teelings Whiskey distillery, whose tagline cleverly reads as “the Spirit of Dublin” – quite apt given its location in what many consider to be the spiritual heart of the city. Part of the Liberties, Kilmainham can be reached easily on foot or by hopping on the Luas, our tram. Home to Kilmainham Jail (Gaol), where a fantastic visitor experience awaits, and the Irish Museum of Modern Heart which showcases contemporary pieces in magnificently restored buildings and grounds, a couple of hours rambling in Kilmainham and the Liberties is a couple of hours well spent. A two-for-one here, the suburbs of Portobello and Rathmines blend into one another and both are a 10 - 15 minutes’ stroll from the inner-city. Nestled along the banks of the canal, Portobello nonchalantly exudes cosmopolitan trendiness and offers a wealth of delicious, Instagram-worthy culinary delights as well as a vibrant nightlife devoid of the trappings of the tourist trail, albeit with an abundance of hipsters & neck-beards. The Bernard Shaw is a great pub which houses a double-decker bus pizzeria in its lively smoking area. Oh, and Portobello also has the very interesting Irish Jewish museum. Just beyond Portabella lies Rathmines, a suburb which has fast become an alternative to city-centre living and offers a fantastic array of cafes & restaurants and vibrant pubs. Right, so that’s but a few examples of inner-city suburbs just a hop, skip and jump from Temple Bar. Now let’s look at a few places to escape to for some of that quintessential Irish nature and scenic country-side, less than an hour from the city. All of the below are quite easily accessible and well worth spending a few hours exploring. 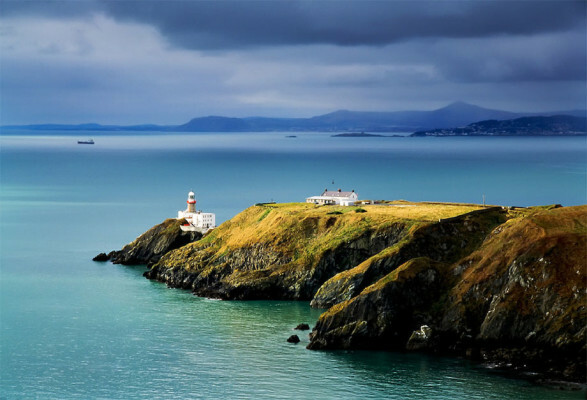 Hop on the DART, the train serving the Dublin surrounds, and head to Howth, a quaint and charming little fishing village about 35 minutes north of the city centre on the east coast. This is an ideal way to get a snippet of the kind of breath-taking scenery Ireland is famed for. A walk along the promenade soon brings you to the start of the cliff path which will take you up above the village & marina to the summit and grant you amazing views over Lambay island & Ireland’s eye, The Bailey Lighthouse and across the Irish Sea. 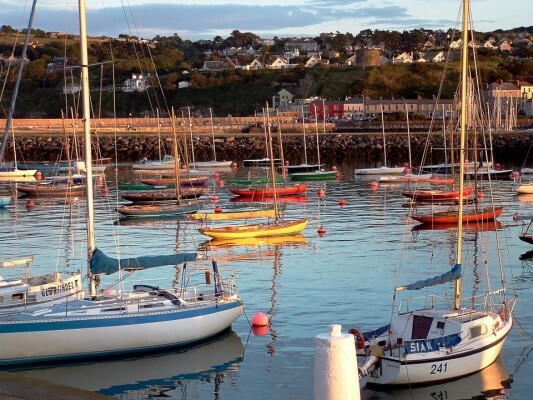 Howth village offers some lovely eateries & pubs but is also home to some intriguing historical points of interest such as Howth Castle, St. Mary’s Abbey and an ancient burial tomb. Howth Harbour, where a delivery of 900 guns was received by The Irish Volunteers in 1914, is home to some friendly seals who regularly make playful appearances. 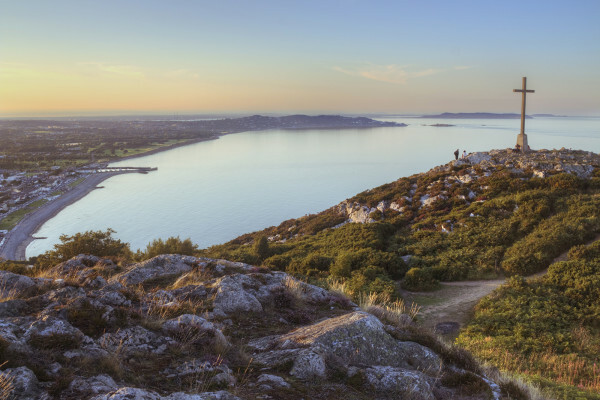 You could do a lot worse than spend a few hours in Howth, taking in the salty sea-air & beautiful views, enjoying tasty fish ‘n’ chips, and maybe even a cheeky pint. 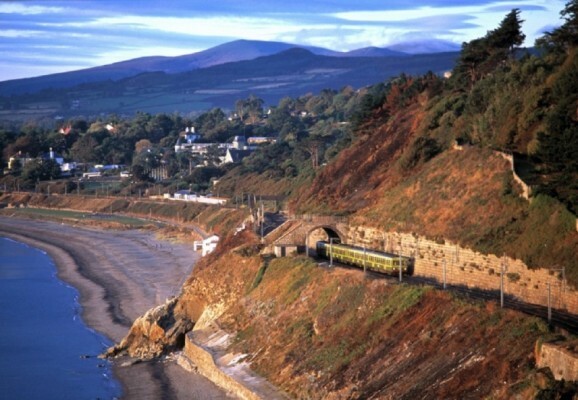 Taking the DART south, along some of the most scenic railways in Europe, you can visit Bray, another sea-side suburb about 40 minutes from Dublin city. Bray still retains a Victorian charm as a quaint, traditional sea-side resort but also offers a buzzing town-centre and cosmopolitan atmosphere. At the end of the seafront promenade sits Bray Head, on top of which stands a large stone cross, venture up the hill, not an especially difficult task, and marvel at the striking views over Bray and the sea. Bray is in North Wicklow, a county known as 'The Garden of Ireland', and as you go south you’ll soon see why. 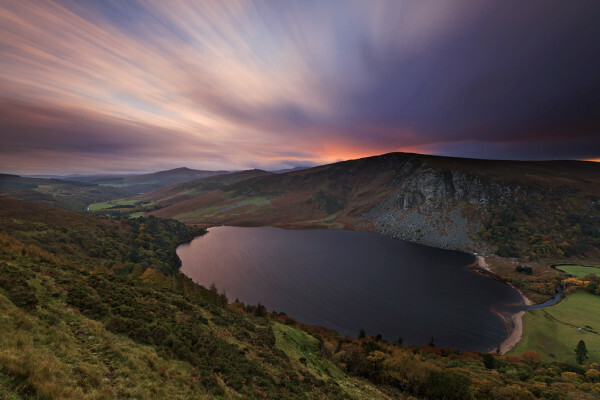 Some of the most beautiful parts of the Island are in Wicklow, including our next two recommendations, and still within an hour of the capital. Now, we are entering into ‘day-tour territory’ in terms of ways to get here unless you have a car, but thankfully there are a number of day-trip providers offering great-value means of visiting these wonderful places from Dublin city. The beautiful picturesque lake here is known as Guinness Lake, many mistakenly believe this is due to its shape and appearance from a certain angle resembling that of a delicious pint of the black stuff, a dark body with a white head. However, said the white head is the result of the man-made beach of white sand imported by the Guinness family, and hence the name. Quite a magnificent sight to behold. 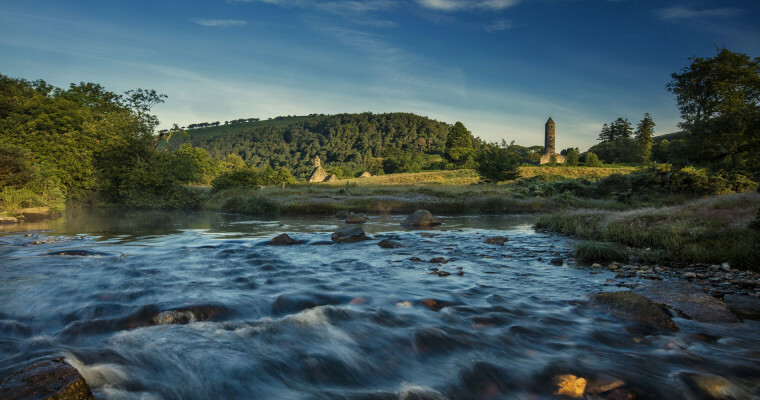 If awesome nature and picturesque scenery is your bag, then you should be bound for Glendalough, an ancient Medieval monastic settlement surrounded by virtually untouched natural beauty in a glacial valley. 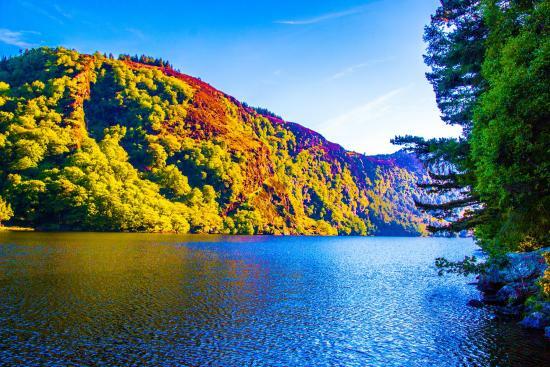 The name Glendalough (Gleann dá loch) translates as ‘the valley of the two lakes’, owing to the tranquil lower and upper lakes nestled between the forest & fern covered hills of the area. This really is a place to experience the romanticised Irish landscape - green, peaceful and breathtakingly stunning. Well that’s it lads & lassies, you’ll discover & explore plenty of Dublin city with Next Dublin Tours free tour but I hope this little piece has inspired you to look a little beyond the traditional visitor-radius, and indeed beyond the city limits, to get more from your time here. And of course, ask your lovely local free tour guide for their recommendations of what to see & do for a trip out of the inner-city, you won’t be disappointed.